Spring is a great time to experience a wonderful vacation in Branson as the place offers many exciting activities and thrilling adventures on the water. Whatever fun activities you want to enjoy in Branson, if you wish to watch world-class live performance shows at some theatres, explore the pristine lakes, or be thrilled by all the attractions in town, you’re sure to enjoy great outdoor fun in Branson. Listed below are the seven springtastic outdoor activities in Branson that you can enjoy this season. When you visit Branson during the spring season, make sure to include in your list a visit to the White Water Park at Silver Dollar City. This fantastic water park features 2 million gallons of water where you’ll find it exciting to enjoy great outdoor fun in Branson. At the park, you can enjoy the tides of 500,000 gallons wave pool, the fascinating water flow of the Aloha River, Coconut Grooves, and Splashaway Cay. Excited water enthusiasts can test their adrenaline rush with the KaPau Plummet, a heart-pounding thrill slide with a 240-foot, 70-degree plunge followed by a spiraling loop to splash down. 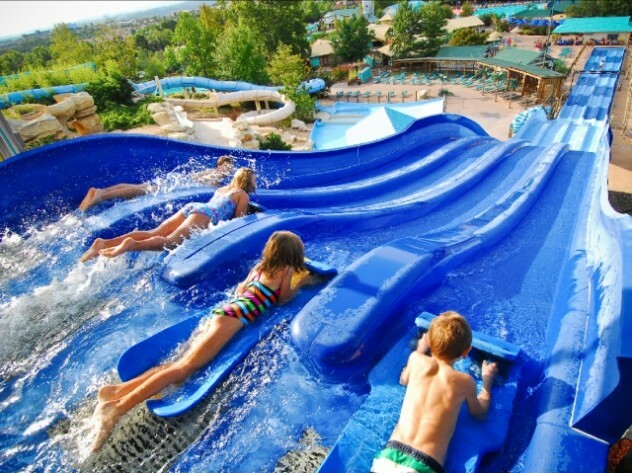 From speed-slides,water-blasters to great geysers and little soakers, there are always water adventure rides for everyone at the White Water. If you want to experience a beautiful spring splash in Branson, White Water Park is the place to go. Scavenger hunting is a springtastic outdoor activity in Branson to enjoy during spring as you’ll find it great to enjoy the fun under the shades of the trees. Outdoor adventures with the family have been associated with playing games. Among the favorite family games and activities are fun scavenger hunts at various locations as family member teams will compete to see who could find the most items on the scavenger hunt lists. Scavenger hunting activity starts with a unique idea of things to be hunted in a great location. This outdoor activity is a good family game that doesn’t need to be expensive and can be done at almost no cost but can bring you home great family memories. The idea of this unique outdoor fun in Branson is to create a list of things that members need to find things you can think of, give a time limit, and give a prize to whoever who can see it quick. The biggest challenge of scavenger hunting is about the size of the object to be seen and the size of the area where the things are hidden. The Track Family Fun Park is one of the best vacation spots in Branson where you can experience great outdoor adventure during springtime. This Track Family Fun Park features many exciting outdoor adventures and thrilling rides in four fun-filled locations in Branson. At the Fun Park, you have the chance to enjoy many fun rides that include go-karts, bumper rides, bumper boats equipped with super soakers, kids rides, and the incredible 100-foot tall super swing Skycoaster, and many more. The fun-packed thrilling rides at the Fun Park feature a unique outdoor activity where you can experience a breathtaking and exhilarating ride of your life. At Fun Park, you can choose any trip that is ideal for your age and height. Fishing in Lake Taneycomo is a great way to start the spring season as you will get the first-hand experience of seeing new blooms of flower and plants around the spectacular lush greenery along the lakeside. Lake Taneycomo is one of the fascinating lakes in the Midwest as it features cold, clean and clear water and provides visitors exciting water activities and most excellent trout fishing. The rainbow trout and brown trout in the lake provide anglers an exciting fishing experience all year round. Lake Taneycomo is a fantastic vacation destination for people who want to spend a great fishing experience and springtastic water sports activities. 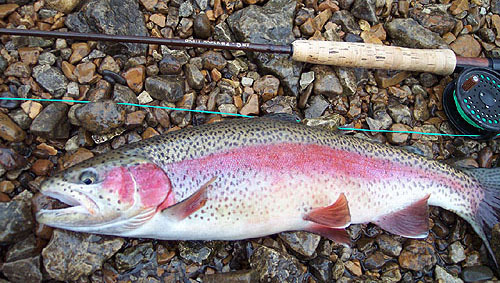 A cold temperature of the water on the lake that averages 48 degrees offers anglers excellent trout fishing. Moonshine Beach is a beautiful vacation destination during springtime in Branson as it gives visitors the opportunity to enjoy exciting water activities under the moon and stars. Moonshine Beach features the best recreational facility which is maintained by the U.S. Army Corps of Engineers that allow visitors to enjoy the only sandy beach at Table Rock Lake. Moonshine Beach is Missouri’s largest sandy beach. Moonshine Beach offers excellent amenities that include a large pavilion, picnic tables, flush toilets, showers, a boat launch ramp, food vendors, and a playground for kids. If you are planning to spend a wonderful vacation and looking for a fantastic outdoor fun in Branson this spring season, don’t miss these seven springtastic outdoor activities in this favorite vacation destination in the Midwest.